Episodes in Chiaroscuro takes its name and inspiration from the use of light, texture and contrast in the paintings of Rembrandt van Rijn. Working for harp I couldn’t help but think of the story of Saul and David and I try to capture some of the emotion in Rembrandt’s second depiction of the scene, from 1645. 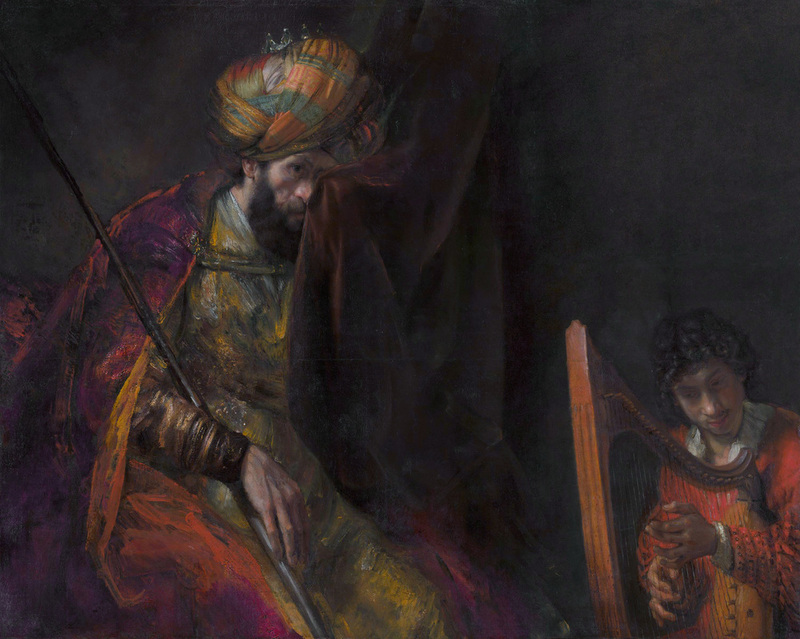 In this painting, King Saul weeps openly at the beauty of David’s playing while at the same time being overcome with jealousy at the young soldier’s newfound fame. It is some of these internal struggles and contrasting states of mind that come forth in the drama and moods of my piece. Within the ensemble I explore the use of melodies and textures to try and create a sort of high-contrast chiaroscuro musical image. The piece opens with a quiet swift-moving texture out of which a melody slowly comes to light. The second movement is at once meditative and intense, only partly finding resolution as it starts to flow more freely. The final movement is built upon a mode and recitation tones inspired by the ancient music of the Middle-East, with aggressive outbursts creating a forward momentum that gives way to a shimmering sound of closure.